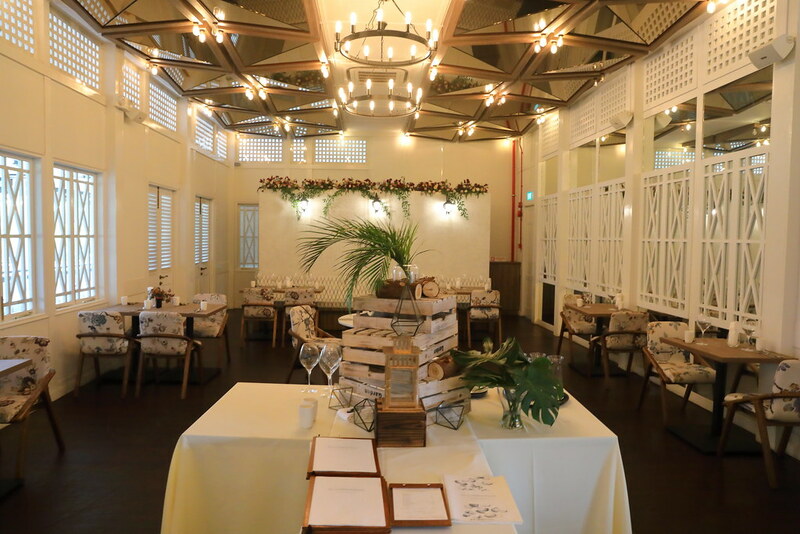 The Summerhouse Dining Room has launched a new weekday lunch and weekend brunch menus. The new menus comprises of nature-inspired dishes of familiar flavours using unrivalled freshness of ingredients sourced from local farmers and producers. 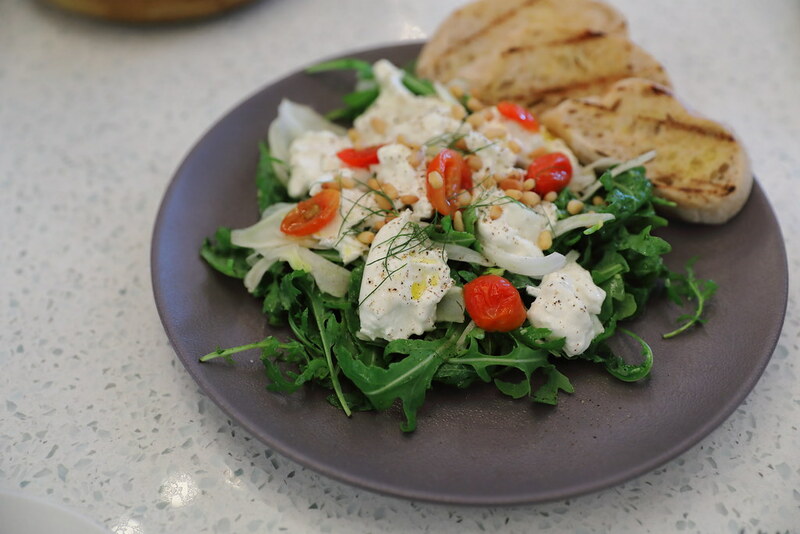 A light starter for the lunch is the Burrata Rocket Salad ($20). Fresh burrata rested on a bed of rockets and dressed in house blended rocket peso sauce. I enjoyed the marinated dried tomatoes which lent the sweetness to the dish. The toasted sourdough completed the plate of freshness. 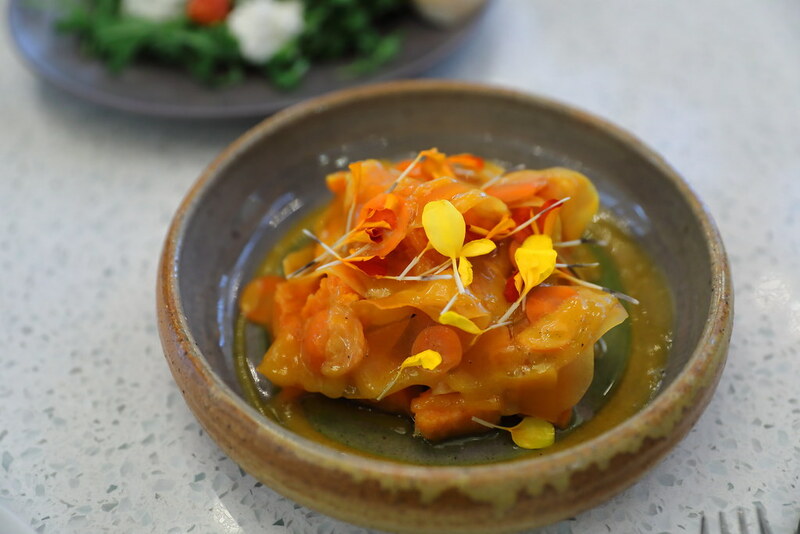 The Yellow ($14) consists of crispy sweet potato coated with mimolette cheese, fermented carrots and pickled pumpkin. Bring the different flavours together is the earl grey and passionfruit vinegrette. The harmony of the sweet roots and rejuvenating zest from the pickled sides works harmoniously on the palate. 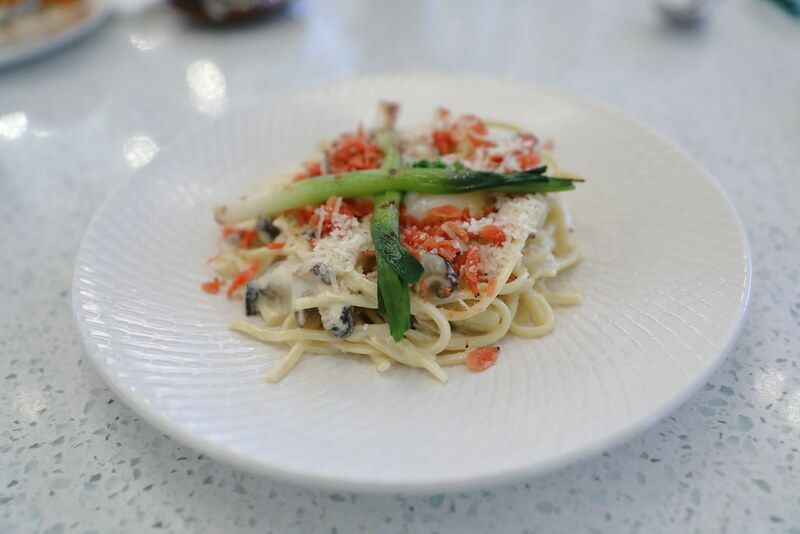 The Smmerhouse Dining room handmade their own linguine for the Miso Shiitake Linguine ($22). It is cooked in a miso cream together with braised shiitake mushroom, grilled sweet corn and spring onion. It is then topped with a sous-vide poached egg and fried sakura ebi. I could not really taste the miso in the pasta, hence the creaminess felt more like have a carbonara. However I did like the addition of fried sakura ebi which provided the extra crunch and flavous. The Pulled Pork Scrambled Egg Burger ($19) is probably the weirdest combination I have ever eaten for a burger. 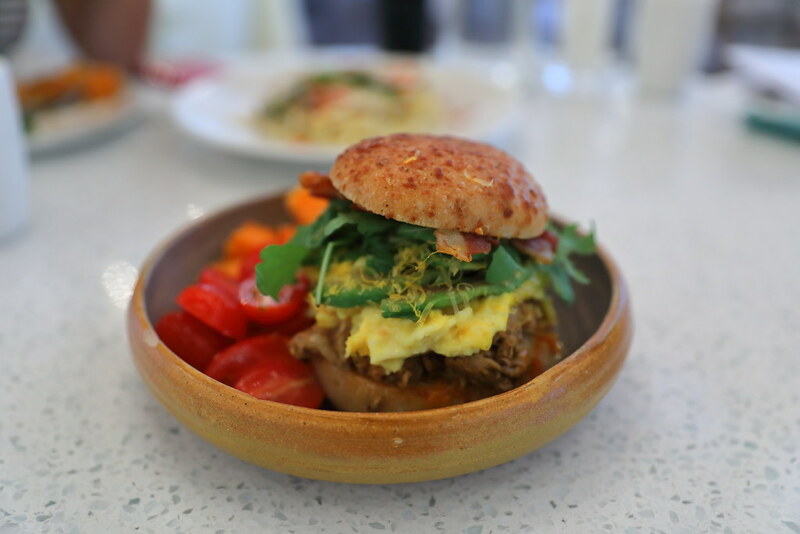 Sandwiched between the cream cheese bun, you can find pulled pork, scrambled egg, mimolette cheese, bacon, rocket and avocado with sambal belacan, mustard and barbecue sauce. It is like putting a big breakfast into a burger. I am not a fan of the sambal belacan in burger but my friend thought otherwise. The burger may seen outrageous but it actually tasted quite delicious. Egg benedict given a modern twist, that is exactly what the Eggs Benedict Modernist ($22) is. 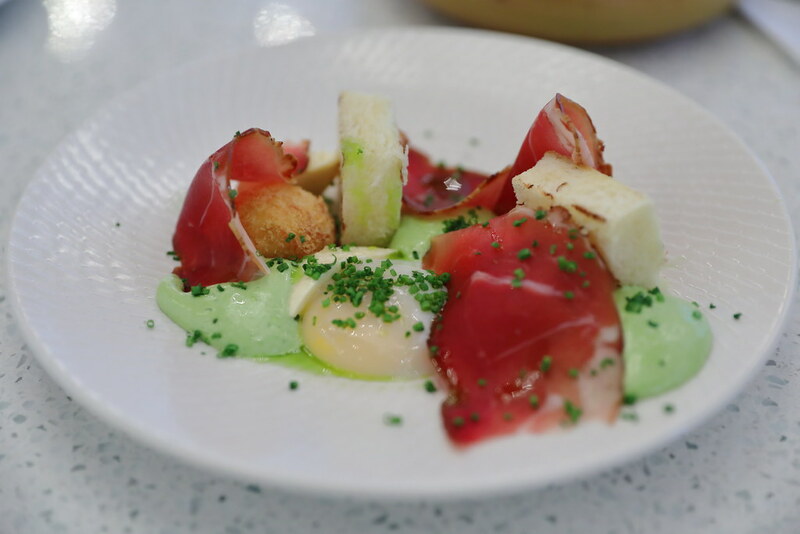 It comes with two fried breaded egg yolks, sous-vide egg, egg white bacon custard, black forest ham, chive hollandaise and toasted broiche. I am not too sure but I didn't feel quite satisfy with such a delicate plate for brunch. Don't get me wrong, I do applaud the effort and skill into the dish, and its delicious too. However I just want something comforting and hearty for brunch. I personally felt that I was having 2 desserts for 1 pricing in the French Toast ($14). The toast is soaked in egg with cinnamon and brown sugar is pan fried with butter. It was soft, fluffy and buttery. 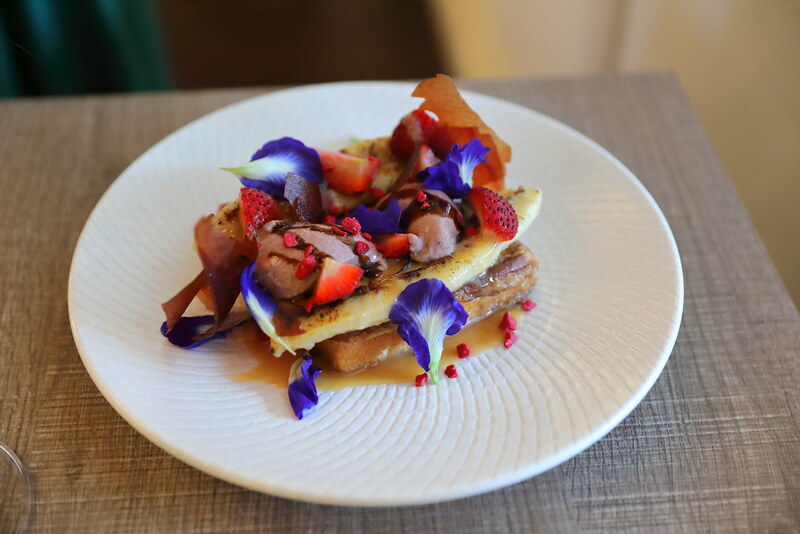 The caramelized banana and raspberry yuzu sorbet sitting on top of the french toast, reminds me of my childhood favourite banana split ice cream. That is why I mentioned that it felt like having 2 desserts. 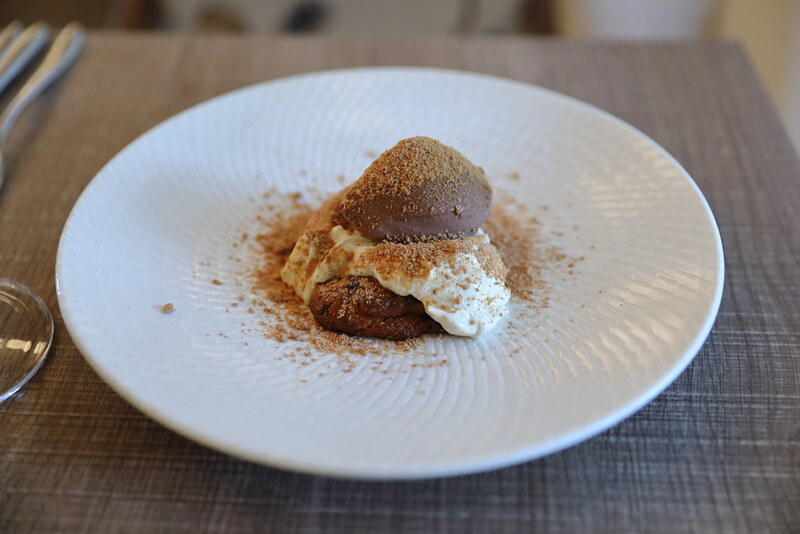 Last but not least we had the Balinese Chocolate Ice Cream ($12) which consists of a freshly baked chocolate cookie at the base with vanilla custard and a scoop of chocolate ice cream made using Baliness cocoa. This is dusted with hazelnut praline powder. 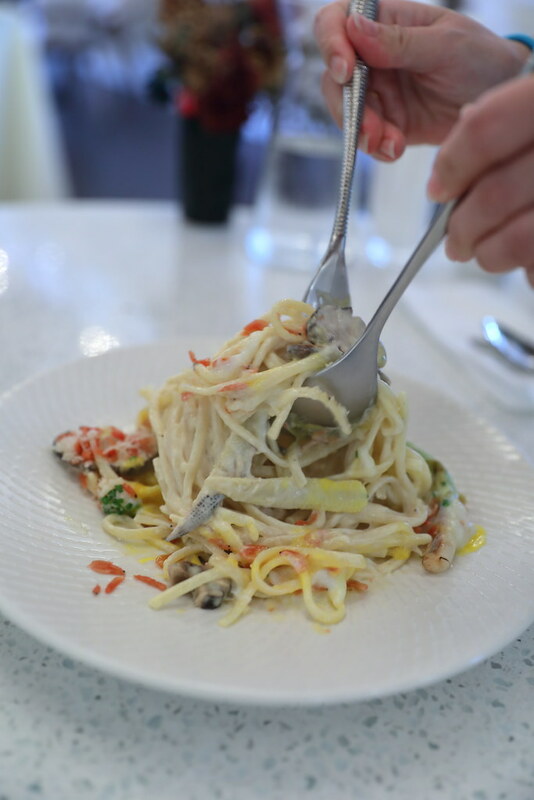 The dish may looks simple, it may also looks a little messy but it just works wonderfully together. I can have this anytime of the day.